Acting Chief Executive of the Ghana Trade Fair Company Limited (GTFC), Dr. Erasmus Ebenezer Okpoti Koney, says the current energy crisis in the country has adversely affected the on-going fair. “Ghana has also had its fair share of the sub-region’s problems, including the power crisis which we have christened ‘Dumsor.’ The ‘dumsor’ scare has dealt a heavy blow to industries, as most local companies are grasping with it. This is evident in the low patronage of our international fair this year from both our ECOWAS partners and our own local participants,” the CEO stated in a speech read on his behalf at the official launch of the 19th Ghana International Trade Fair. This year’s fair, under the theme, ‘Trade, the bridge for industry and research,’ is expected to highlight the importance of exhibitions to the growth of industries. 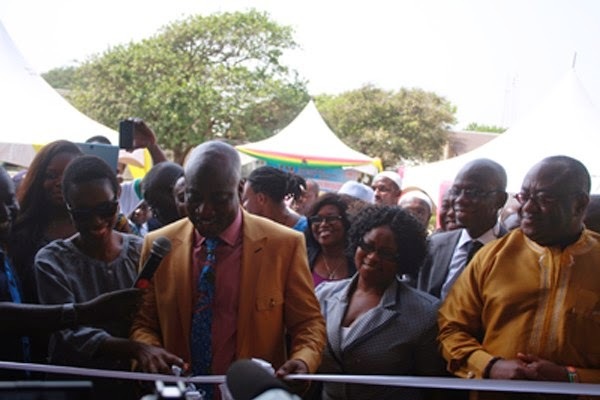 A member of the Board of Directors for GTFC, Hannah Amoateng however added that the fair will serve as a platform for local exhibitors and foreign counterparts to do business and seek opportunities. “The international trade fair serves as a doorway for attracting foreign direct investments and is one of the platforms in promoting our made in Ghana goods and services agenda, which is dear to the heart of our sector ministry, the Ministry of Trade and Industry. I must say that the company is and will continue find innovative ways of organizing trade fairs and exhibitions to make them more appealing and attractive for our patrons,” she said. The Deputy Minister for Trade & Industry, Murtala Mohammed, who officially cut the tape to open the fair, inspected the various pavilions. Products and services offered by operators in sectors such as agriculture and food, building and construction, oil and gas, among others, were on display at the pavilions.